In small bowl, combine all dressing ingredients; blend well. Refrigerate until serving time. To serve, arrange lettuce on large serving platter or on 4 individual plates. 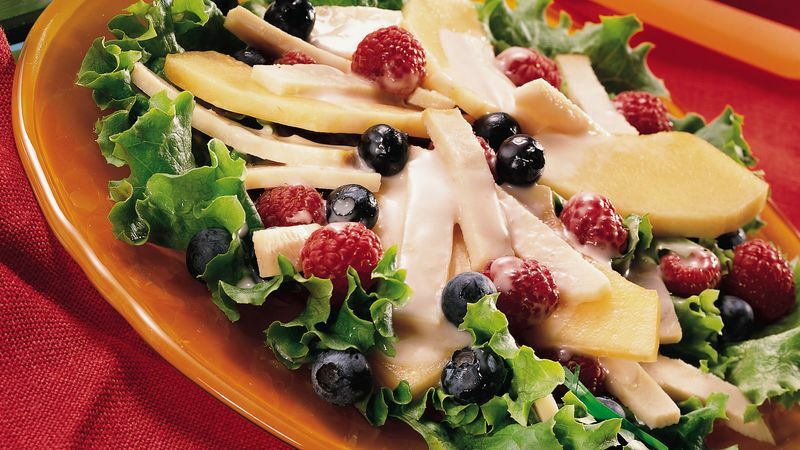 Arrange chicken, cantaloupe, raspberries and blueberries over lettuce. Drizzle dressing over salad.